Prior to my friend moving to the Bay Area, 🛬 she used to model for small gigs in the Los Angeles county approximately six years ago. She has a splendid 🙋🏽taste when it comes to fashion. Due to the caring, 💑supportive, intelligent, disposition of her spouse who is Sheyi Ashaolu, she consequently felt more confident to start an online boutique whereby she could share her love ❤️ of fashion, 👕👖👗👛cultural, 🌏and creativity side 😎 with the world and that’s how she came up with the ankaraglo, so that the buyer can look great as he / she adds some african touches to his / her dress code. As soon as she started raising her handsome, friendly, and intelligent sons’ in the Bay who are Tobi, 🏃🏽 Shola, and Yemi 👨‍❤️‍👨 respectively, she therefore started in-corporating her inner skills talents by making her own ankara items like: necklaces, earrings, bracelets, hand bags, 👛 bow ties, clutches, flats, and slippers from ankara fabrics in which she started marketing them to her close circle of friends and family. 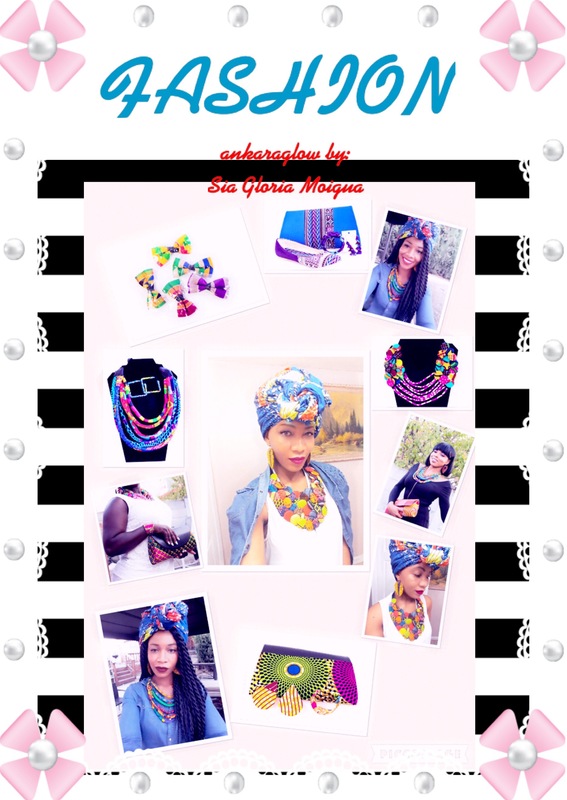 Her boutique items will add an african touch to your dress code, are great for any season, or occasion. 🍽 🍹You can also look great at african event, co – operate parties, day, or a night outing. 👕👖👗Moreover, she’s also had many compliments due to her own ankara fashion wear. Since her items are mostly bright in color, she advises that you can wear either black, or white clothes to pop out the color. Gently care for them by hand washing the items then air dry, or if you can afford a few extra bucks, 💵 it’s safer to take them to the dry cleaner for a safer result. She’s also suggesting that you should feel free, have fun by being creative while dressing up since you can wear more than one item depending on your dress code. A great example would be like: from the middle picture above, she wore an ankara head wrap, earrings and a necklace that popped out her white top plus blue denim shirt 👕 very well. If your not intuitive with your colors like her friend, ( the writer ), she suggests that you can wear her ankara items with a black, or white colors types of attires. In the near future, Sia will add more products like: mens’, 👕👖womens’, 👗 and children clothings’ in her online boutique. From yours Shiro Thumbi aka crownshi3.wordpress.com / crownshi12 on Instagram. Previous Post Things I did due to too much intake of alcohol. Next Post An amusing, encountering weekend in Oakland,CA.